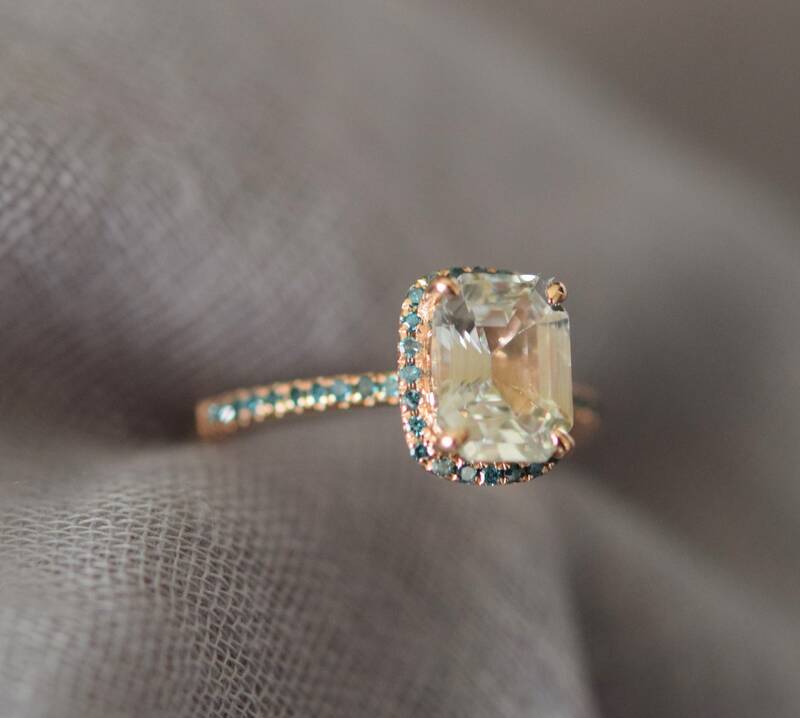 Emerald cut engagement ring. 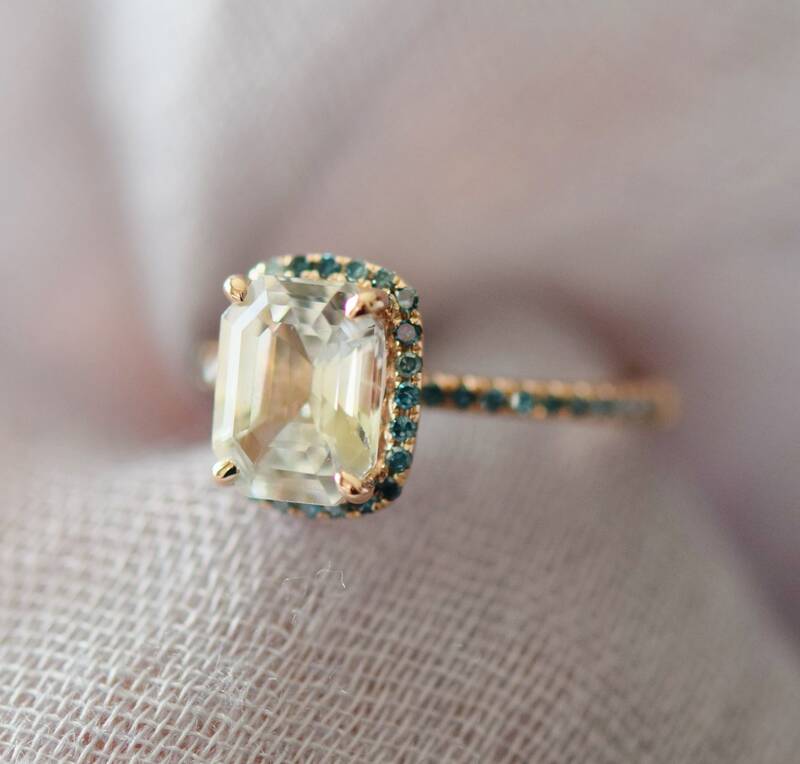 Champagne sapphire ring. 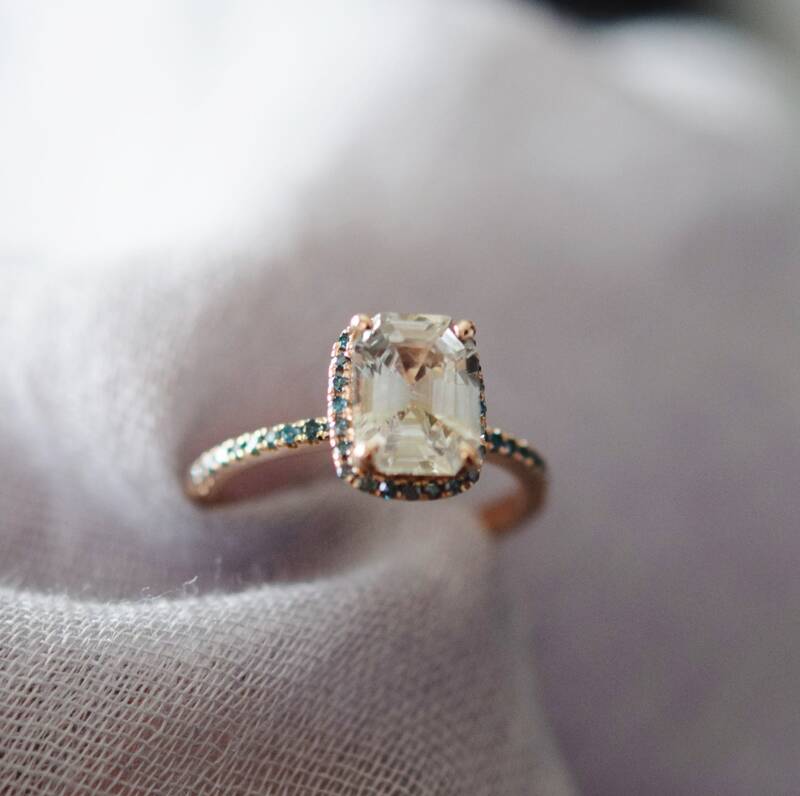 14k Rose Gold Engagement Ring Blue diamond ring. Engagement ring by Eidelprecious. 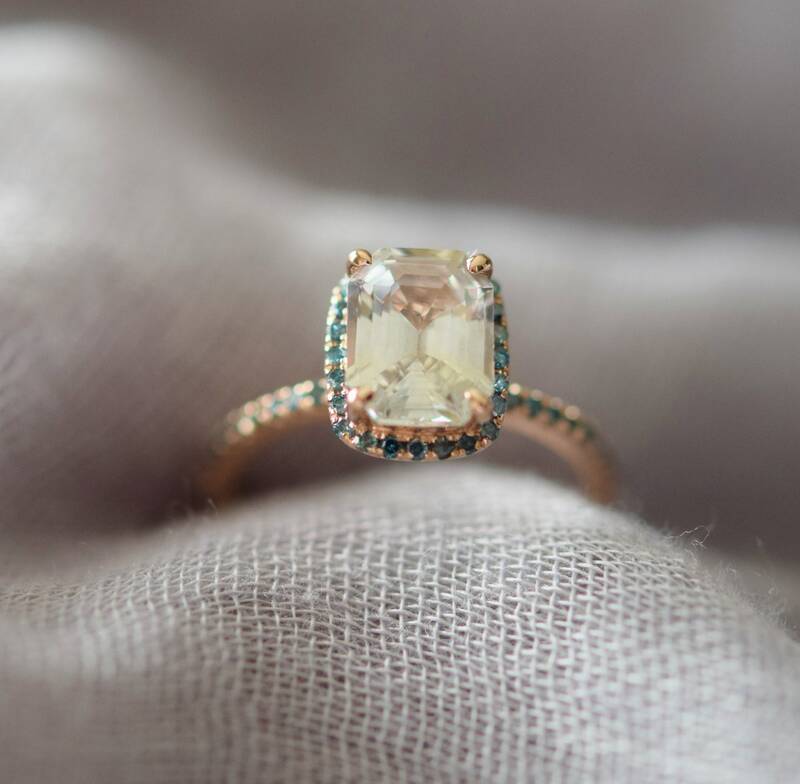 Emerald cut Engagement ring by Eidelprecious. 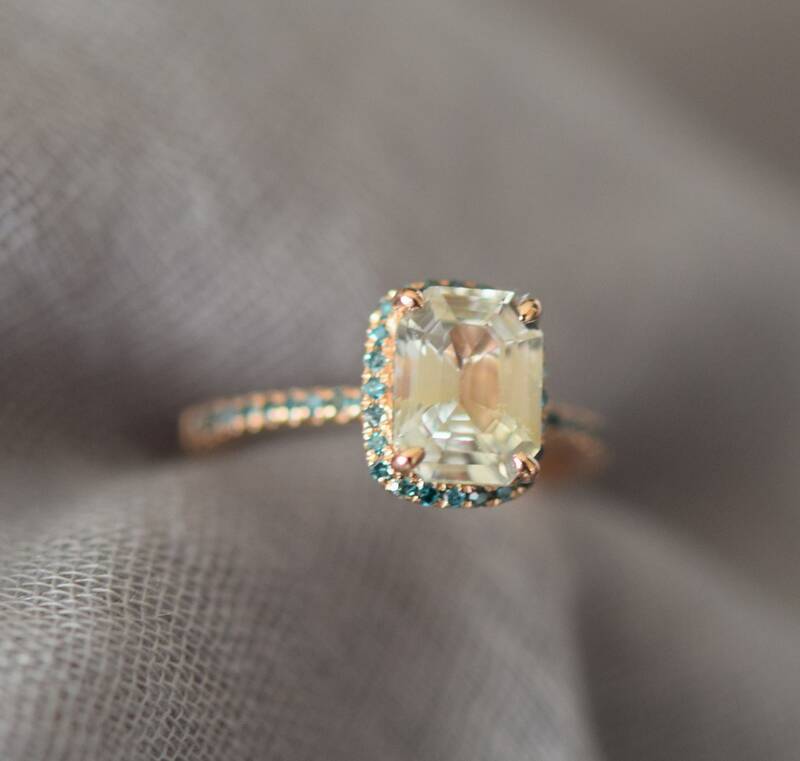 Champagne sapphire Rose gold Blue diamond engagement ring. 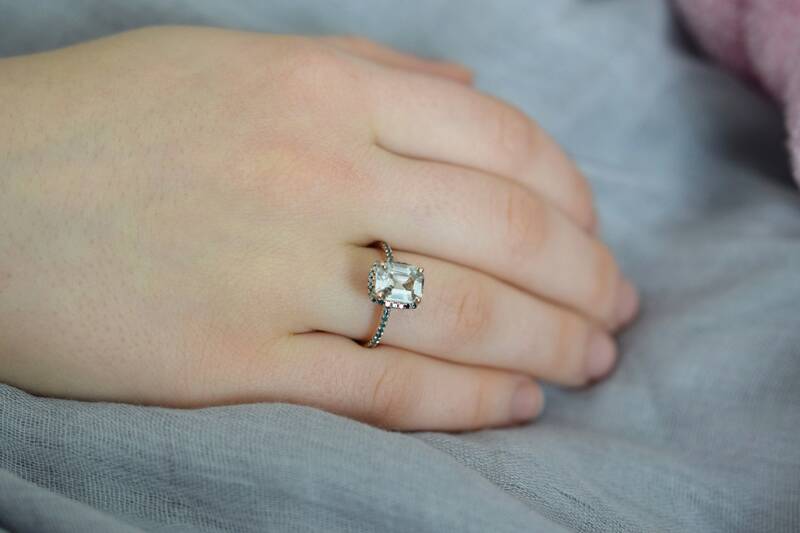 Very unique ring, one of a kind! This ring features a 2.27ct emerald cut champagne sapphire, eye clean. The stone is very beautiful. It is a natural stone, very sparkling. The color changes slightly towards white depending on the lightening. Very pretty! This beauty is set in Eidelprecious signature 14k rose gold diamond setting. Blue green diamonds, full cut, TDW 0.2ct.